Learn how Della went from business disaster to financial prosperity by using the spiritual principles of success. 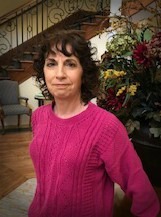 Della Menechella teaches entrepreneurial women how to integrate spirituality with success principles so they can achieve success in their businesses and reach financial prosperity. She has been involved in the study and application of spiritual success principles for more than 30 years. And she has been teaching these techniques to others for more than two decades. Della spent more than ten years as a corporate human resources executive for a Fortune 500 entertainment company. She enjoyed a high level of success and achievement in her career. After becoming parents to two young sons, Della and her husband Michael, who was also a high level corporate executive, decided that they needed to make career changes in order to be able to spend more time with their young family. They decided to buy a franchise. This choice became one of the most important -- and ultimately painful -- decisions of Della’s life. She learned firsthand how misusing spiritual success principles can create complete havoc in your life. 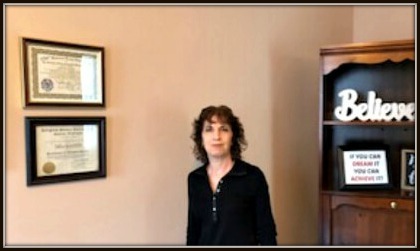 When Della first started her business, she expected that it would be a huge success. Both she and her husband were high achievers so, of course, they would be successful in their new business – right? Having a new business means coming up against problems – lots of problems. As the problems mounted, Della began to spend most of her time worrying about money. She became consumed with the fear that their business was leading her family towards financial ruin. As Della spent more and more time focusing on her financial struggles, she was unaware that she was misusing one of the most powerful and important Universal principles. matter whether you are thinking positive or negative thoughts. Eventually, your thoughts must become your experience. Unfortunately, Della did not have the skills to be able to master her thoughts. She allowed her fearful, negative thinking to take control of her mind. As a result, the financial ruin that she had been dreading was exactly what she got. Finances got so tight that she and her husband had to borrow money to pay for the mortgage and critical living expenses. It was a financial nightmare! However, Della made another decision -- one of the best in her life. She decided to become a master at using spiritual principles to create success and financial abundance. And that’s exactly what she did. By using the spiritual success tools that she teachers her clients, in less than 12 months she and her husband went from financial disaster to complete financial stability. And now they both enjoy a life of financial abundance and ease. Della knows how difficult it can be to overcome obstacles and challenges in life. But she also knows that using effective Universal principles can transform virtually any circumstance. 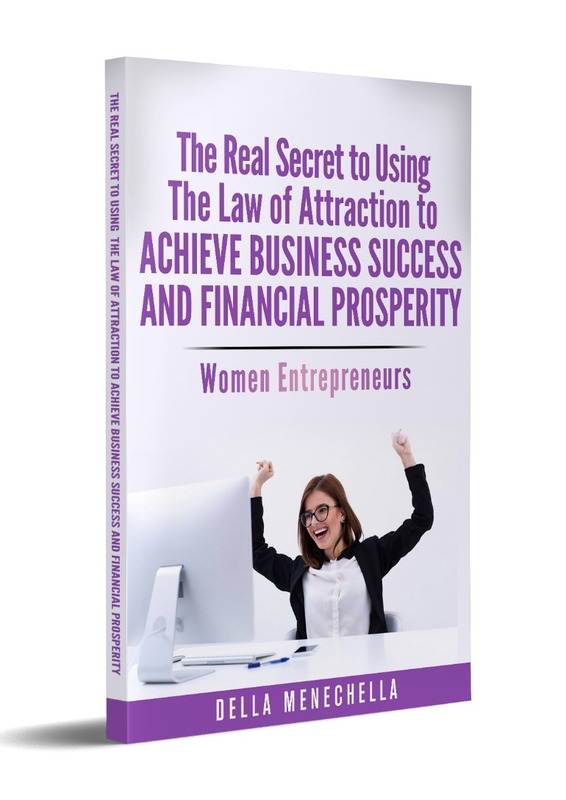 That’s why Della has made it her personal mission to teach other entrepreneurial women how to use simple spiritual success tools to create business success and financial prosperity in their own lives. And the strategies that Della teaches work even if women are dealing with huge challenges and they have a difficult time staying positive. Della spent decades studying manifestation, mindset mastery, and success strategies so she can share the most powerful success tools available to entrepreneurial women. She is licensed as a spiritual mentor and teacher by the Centers for Spiritual Living, an organization of 400 spiritual centers around the globe. She has been teaching accredited courses in spiritual transformation, manifestation, and prosperity for more than a decade. Della is Licensed as a Master Practitioner of Neuro-Linguistic Programming (a model of behavioral excellence) by the Society of Neuro Linguistic Programming. She has been integrating powerful mindset mastery NLP techniques into her trainings for more than two decades. Della has taught her spiritual techniques and success strategies to thousands of women just like you and she’s helped them achieve their business and financial goals. The strategies Della teaches are so effective you don’t have to be a special and remarkable woman to use them successfully. They can work even if you struggle with doubts and fears. Regardless of your current circumstances, you have the ability to achieve your big goals. Make a good decision for yourself right now. Read the articles on this site and, more importantly, put the ideas into action. Sign up to be part of our community so you can keep updated on powerful ideas to help you achieve business success and financial prosperity. These ideas dramatically transformed Della’s life and the lives of the many women she has taught them to. They are regular women just like you. If it worked for them, it can definitely work for you too!